The proposed ballot questions for this fall's electoral reform referendum would give British Columbians the choice between four voting systems, including three different versions of proportional representation. Attorney General David Eby released his recommendations for the mail-in referendum Wednesday morning after months of gathering feedback from the public on their preferences. The result is a ballot split into two questions: one asking voters if they would rather maintain the current first-past-the-post method or switch to a proportional system, and another letting them choose between three proportional voting options. "The final decision on this is British Columbians'," Eby said. "I have every confidence in the people of B.C. to be able to make their own decisions about who they send to (government)." The three alternative voting systems are Dual Member Proportional, Mixed Member Proportional and Rural-Urban Proportional Representation, and Eby said each offers a different balance between simplicity, local accountability and proportionality. But all three would either maintain B.C. 's current number of 87 MLAs or add no more than eight additional members, and each would ensure every region of the province keeps at least as many representatives as it currently has. And Eby said there would be rules in place to prevent fringe parties from flooding the Legislature. "No political party would be eligible to receive seats through a system's proportional allocation method unless the party received at least five per cent of the overall vote," Eby told reporters. Under Dual Member Proportional, most of B.C. 's existing ridings would be combined with a neighbouring riding to form bigger, two-seat districts. One seat would go to the candidate who secures the most votes locally, similar to FPTP, and the other would be allocated based on province-wide voting results. What it would mean for voters is picking one pair of candidates on Election Day, which makes it one of the easier to understand of the three options. Eby said simplicity was a key criteria from many British Columbians who offered their feedback. "There was a strong consensus in the consultations that people wanted a simple ballot," Eby said. The biggest rural ridings would remain single-seat districts, and decisions about which neighbouring ridings to combine would be made by an Electoral Boundaries Commission. Mixed Member Proportional would also see voters elect some MLAs through first-past-the-post and others through proportional representation, but would keep every riding down to a single seat. Ridings would also increase in size, though it's not clear by how much. Those details would be determined by commission as well. At least 60 per cent of the province's MLAs would represent local ridings, and the rest would be allocated regionally or provincially through proportional representation. "The overall share of seats each party holds in the Legislative Assembly is determined by the party’s share of the province-wide vote it receives," the referendum report reads. On the ballots, voters would choose local FPTP and regional proportional referendum candidates directly. For Rural-Urban Proportional Representation, the most complicated system of the bunch, voters would cast ballots differently depending on what part of the province they're in. Ridings in urban and semi-urban areas would be represented by multiple MLAs chosen through Single Transferable Vote, a system that gives voters the option of ranking multiple candidates in order of preference. A complicated math equation then determines the winners, though Eby's report noted the voter experience would be relatively straightforward. "In the STV regions, while the vote-counting rules are complex, the ballot itself is not, and it permits a high degree of voter choice," it reads. Rural ridings would be remain single-seat, with MLAs elected through first-past-the-post, but a number of regional MLAs would be allocated through proportional representation. Voters there would vote similarly to they way they would under Mixed Member Proportional. Eby said the specifics of the systems are not set in stone; if the referendum passes, an all-party committee would be formed to hammer out the details and implementation of the chosen voting method. He also recommended a “confirming referendum” be held after two voting cycles so voters can decide whether they’re happy with the results or want to revert back to first-past-the-post. The mail-in ballots are being distributed on Oct. 22 and must be mailed back by November 30. But before voting begins, British Columbians will have months to decide which option they prefer during a campaign period that kicks off on July 1. For the campaign, proponent and opponent groups will be given $500,000 in public funding to make their case for or against voting reform. 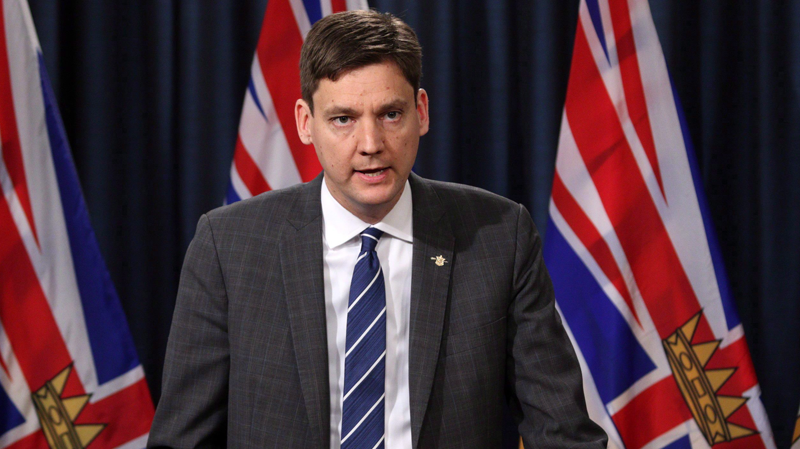 Eby recommended the groups be chosen by Elections B.C. to ensure impartiality. With this release of his report, Eby also said his ministry will step away from any further discussion or decision making on the issue. "The role of my office as of today bringing this forward is complete," he told reporters. "I will not be participating in any caucus or cabinet discussions about proportional representation." There have been two previous referendums on voting reform in B.C., in 2005 and 2009, but both failed. Almost 58 per cent of voters supported moving to a Single Transferable Vote system in 2005, but fell just below the 60 per cent threshold set by the provincial government to switch. In 2009, only 39 per cent of voters wanted to change. The latest referendum requires only 50 per cent support plus one vote to pass. For more information on the referendum and the three recommended versions of proportional representation, visit B.C. 's How We Vote website.